Read what my clients say.........you be the judge. You can imagine my surprise to be asked to re-design a home that had recently just been renovated. But it happens a lot in fact, people are often in awe of large spaces and not sure how to bring their personality into play, preferring to copy magazine pictures and styles someone else has used. 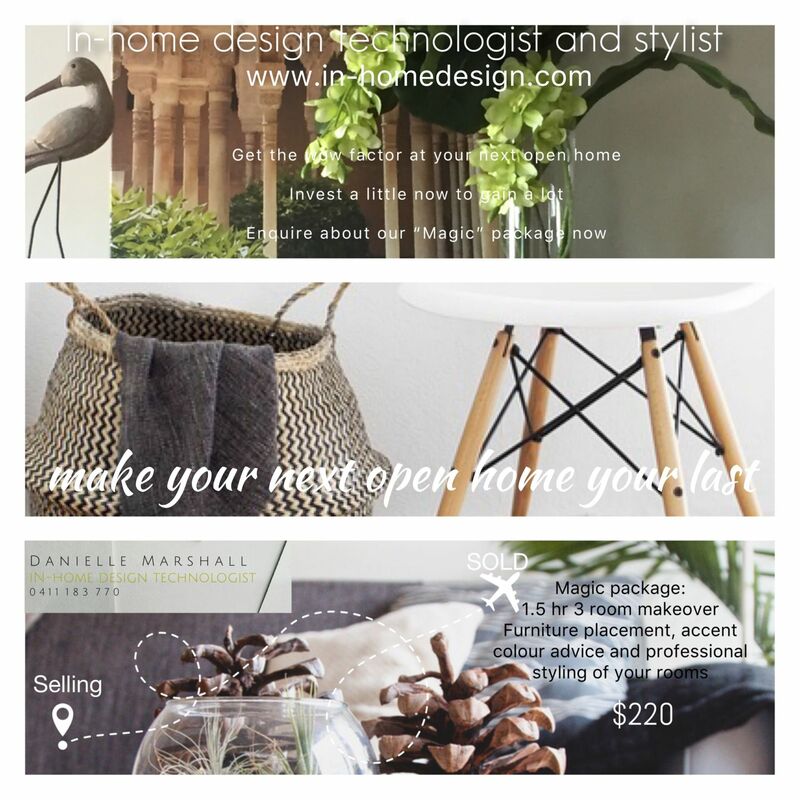 Well, I visited my client in Broadbeach and spent 3 hours with her, getting to know her and her style and looking at everything that could be moved or re-used to create a new and welcoming yet warm and inviting interior and exterior space for her. "Danielle instantly made me feel at ease...she asked me some simple questions about what I liked and didn't like by way of colours and styles. I think she got an instant feel for who I was but couldn't make the connection judging on my sparse interior space. Danielle immediately asked to walk around the whole house and proceeded to go into my garage where I am storing a whole bunch of stuff - things that I figured no longer have a use. Well after a short while, things were making there way into my home again, and not in a bad way. She showed me how to combine colours and textures and gave me some simple rules to follow when putting pieces together, such as look at things from every angle so that you create something pleasing to the eye from each view point. I was blown away at how she reorganised my things..and made them look fantastic in a way that I would never have thought. I love to entertain at home and my friends have all made fantastic remarks about the new styling in and outside. I'd have no hesitation recommending her to friends.